Your parents have been there to support you through each step of life, now it’s time to show them how much you love them with the perfect present. Sometimes finding a good gift for parents can be a challenge. Mom and dad might claim they have everything they need, but a thoughtful token of your appreciation will go a long way. We’ve come up with six gift ideas for parents that will put a smile on their faces. Whether it’s a birthday gift or holiday present, the care and personalization you put into the package will make all the difference. Once you’ve decided on a unique gift, add a special message on custom stationery to take the gift to the next level. At the end of the day, mom and dad want to spend time catching up and enjoying your company. Consider a gift that inspires an activity you can do together. Gift a personalized water bottle and set a date for a mother-daughter hike. Pick out a monogrammed mug set, paired with their favorite coffee roast and a plan to stop by each week for a chat. Though they allow more flexibility, gift cards require an extra step for your parents, adding an errand to their list. In this case, they still need to make the ultimate decision. Consider a more specific fit for their tastes to cut out a step and show how much thought you put into making a choice just for them. Nothing is sweeter than a reminder of your younger days as a kid. You can’t go wrong with any family gift idea that celebrates your shared memories. 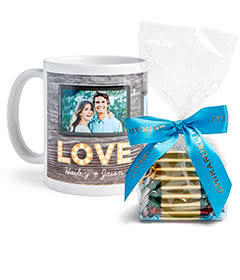 Peruse photo-filled options and anything that provides a daily reminder of their love, such as a photo throw pillow or hand-crafted shadow box. Particularly true when choosing gifts for new moms or for your parent’s larger anniversaries, consider checking in with to ask what’s needed. Perhaps your parents would like to use to opportunity spruce up a particular area of their home. Or with new parents, checking in helps avoid repeat gifts. There’s always an opportunity to personalize their request, even if it’s super specific. Technology trends come and go. Though the newest toy may make life easier or a little bit cooler, spending outside your budget for such a gift is unnecessary in this case. 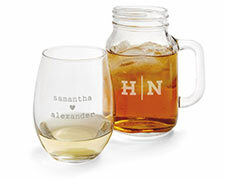 When considering gifts ideas for parents, err on the side of personalization and simplicity. Perhaps mom and dad have drastically different interests. Don’t shy away from gifting two separate gifts for an anniversary, holiday or similar special occasion. Add a special touch to each of their daily routines that spreads love throughout the house. In all the gift-giving opportunities, parents are perhaps the most appropriate recipients of personalized gifts. You share memories more than anything else. Showcasing the beautiful times spent together demonstrates your gratitude more than any overly expensive present. Personalize all your family gifts ideas in several ways: add a monogram or family name, include a collage of photos, or choose a gift that sits prominently in a favorite spot of their house. You may also customize their gift to hobbies or needs. Do you parents travel often? Keep them organized with a customized luggage tag. Or, when buying a gift for friends that have just become new parents, choose a travel-friendly tote bag designed with a stylish monogram. Whichever gift you choose, know that your effort to personalize their present will not go unnoticed. You know your parents more than anyone else. Show your love by picking a gift just for them. Brighten up your parent’s home by gifting them with a flower pot. Choose a color that best matches their personality and add a simple letter engraving on the front. Try filling the pot with their favorite indoor plants, so that they can appreciate them everyday. Make any present more unique by wrapping it in personalized gift wrap. A big part of a present in the presentation. There are many easy ways to wrap a present, but using a collage of photos to create your own will stand out the most. Make sure to include photos that are good quality so that they show up clear when printed out as wrapping paper. Gift your parents with an ornament that has their grandchild on it and they will have something they can appreciate for many years to come. Try personalizing a ceramic ornament with a portrait or choose a family photo and create a glass ornament. Every Christmas they will be able to reminisce with you about the gift. A personalized photo key ring is the perfect gift for the parent who is always on the go. On the busiest days, the keychain will make them stop and appreciate the important things in life like family. Try including a photo of you and your parents laughing over a special moment. Keep your parents warm with a woven photo blanket. This versatile gift has many uses. From a picnic blanket in summer to a bed throw in winter, it will get use year round. Personalize the accessory with a photo of their grandchild and add a unique border design to complete the look. Compile all your favorite photos that display the memories you have with your parents and create a photo book for them. This special book is easy to make and will leave your mom and dad speechless. It will be something they can pull out everytime they need some cheering up. Wait…There’s 50 More Gift Ideas for Parents! In case you are still looking for additional ideas to go with the items above, we’ve gathered 50 more DIY ideas that are easy to personalize for your parents. Whether they need some new kitchenware or are more inclined to traveling, we have included ideas that will give you inspiration for the perfect gift. Show your parents how grateful you are for everything they do with a personalized gift. Gifts for parents mean more when it’s clear that they are unique to the person they are intended for. Regardless of what gift you choose, your efforts will leave mom and dad with smiles long after they unwrap it.